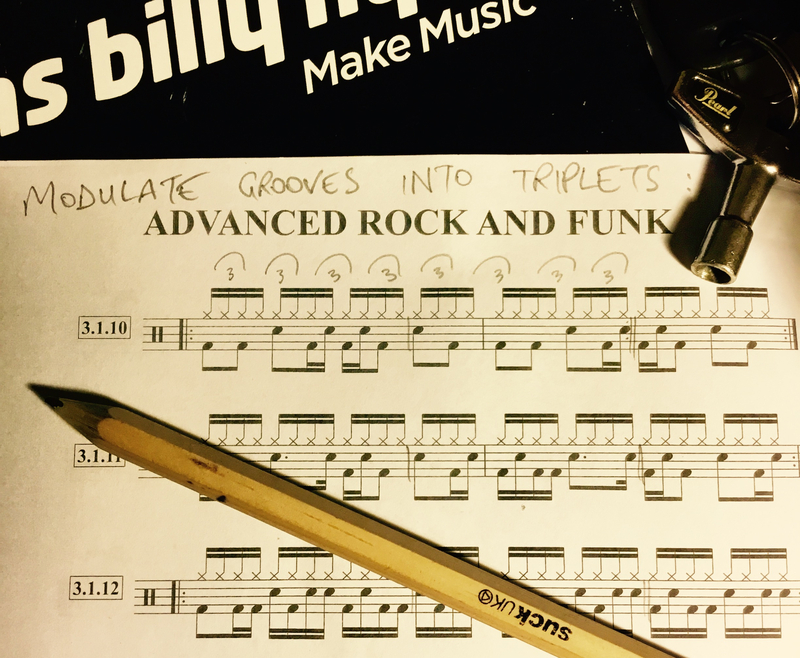 These exercises use an AABA form in a 4 bar phrase, shifting gears from the 16th note funk beat to quarter note triplets, quintuplets and eighth note triplets. Check out drummers such as Nate Smith and Jojo Mayer using this to great effect. So glad I stumbled across your blog! 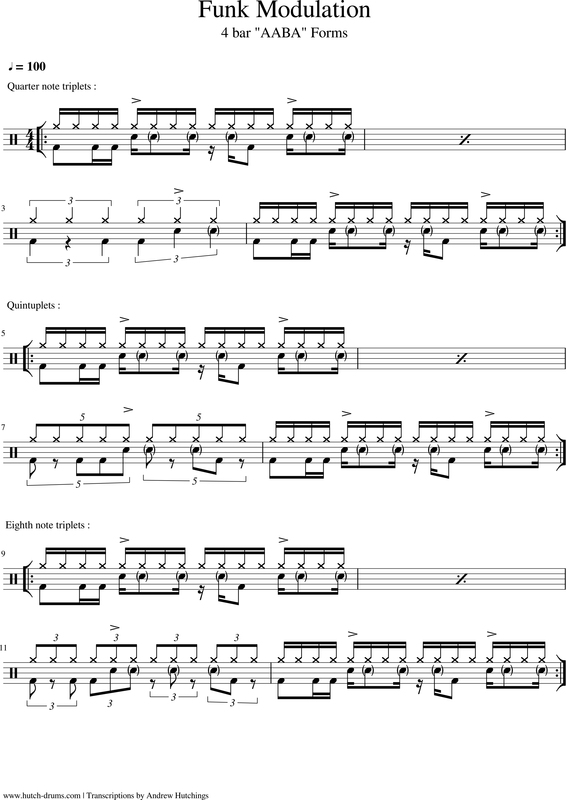 🙂 I’ve downloaded a few charts already and can’t wait to try some stuff out….thanks so much!